Here at Shift Cycle Wear, we believe that alternative energy is one effective way to help preserve our environment. That's why we've created this unique jersey so cyclists can show the world that they choose the sun! 5% of sales will be donated directly to programs that support the development of alternative energy programs around the world. 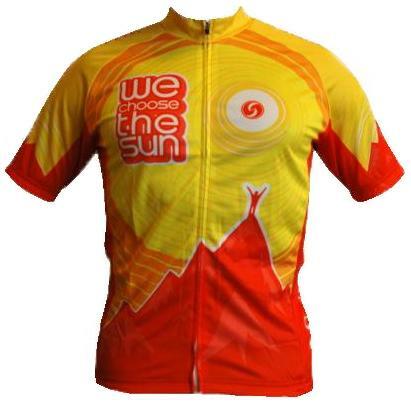 Order your jersey, and choose the sun today!